ZIMBABWE Congress of Trade Unions (ZCTU) secretary general Japhet Moyo has been arrested in connection with wild protests that rocked parts of the country during a national job stay away called by the labour group and some social movement groups last week. 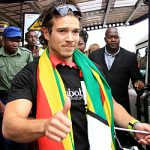 ZCTU information officer, Last Tarabuku told NewZimbabwe.com that his boss was seized by police Monday afternoon at the Robert Mugabe International Airport upon his return from China. “The secretary general Japhet Moyo was arrested just after touching down at the airport this afternoon upon his arrival from China where he had travelled to attend a week long trade union business. “Our lawyer Alec Muchadehama is attending to the matter but we have been briefed that the secretary is being jointly charged with evangelist Evan Mawarire for mobilising the nation to participate in anti-fuel hike protests,” he said. 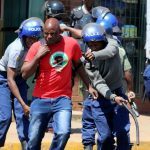 Mawarire, famed for his #ThisFlag campaign movement, was arrested last week charged with subverting a constitutionally elected government. This follows a video image he recorded with ZCTU president Peter Mutasa over a week ago calling on Zimbabweans to embark on a three day job stay away in protest over a government hike on fuel prices, coupled with rising poverty levels. According to the ZCTU, Moyo left the country on a work related assignment just before the deadly protests last week with police instructed to arrest him on his return. This comes after Mutasa has reportedly gone in hiding following a state crackdown on alleged instigators of the country’s most deadly civil unrest since the violent 1998 food riots. 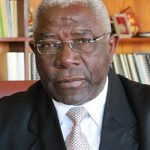 Mutasa’s Dzivarasekwa home was later invaded by suspected state security agents who went on to beat up his teenage brother who had professed ignorance over his whereabouts. 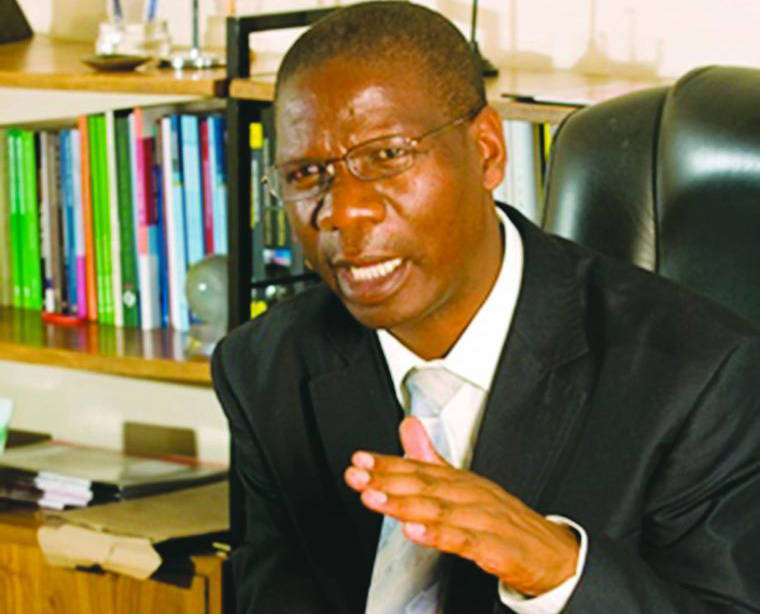 State Security Minister Owen Ncube has since described last week’s demonstrations acts of treason against President Emmerson Mnangagwa’s government. Government says three people who include a Bulawayo junior police officer have died as a result of the skirmishes but independent estimates by local NGOs have put the death toll at 12 amid further claims by the groups that nearly 70 have been treated for gunshot wounds in the hands of the country’s armed forces.